Winter Knit Hats Only $4.99 + FREE Shipping (Reg. $29.99)! You are here: Home / Great Deals / Winter Knit Hats Only $4.99 + FREE Shipping (Reg. $29.99)! These would make awesome stocking stuffers (and of course, a great deal to keep you warm)! 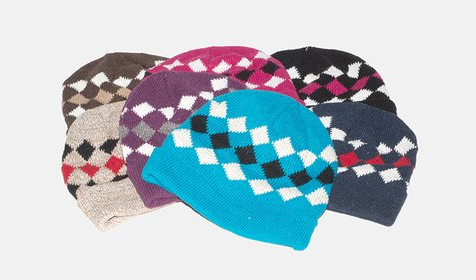 Right now you can snag one of these Winter Knit Hats for Only $4.99 + FREE Shipping (Reg. $29.99)! They have lots of colors to choose from!